“In March 1649, Parliament commissioned Oliver Cromwell to lead an army of invasion into Ireland. Defeat of the Irish at the battle of Rathmines enabled Cromwell to land unopposed at Dublin in 1649. Cromwell, a Puritan, “believed he was an instrument of divine retribution for (alleged) atrocities committed by Catholics against Protestants in 1641 and he accordingly gave orders to deny mercy to Catholics.” His campaign was savage. 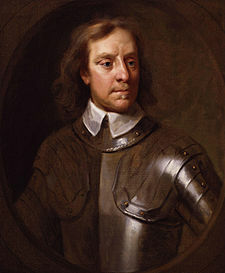 Cromwell left Ireland in May 1650. The subjugation of Ireland was completed in May 1652. Parliament was now faced with settling its enormous debts resulting from the war in Ireland. The adventurers or investors had been offered two and a half million acres of Irish land which were to be confiscated after the rebellion was put down. The lands of the defeated Irish and Old English Catholics were declared confiscated and preparations begun for its distribution to the various people to whom the government was indebted. In order to facilitate this redistribution a survey of the land was undertaken. The act for settling Ireland was passed by the English parliament in August 1652. While the land was being surveyed the government was deciding who should forfeit land. Degrees of guilt were established and penalties defined. The result was that owners of Irish land, whether they were Catholic, protestant or Old English were to suffer. Some were dispossessed totally; others forfeited one fifth, one third, two thirds or three quarters of their land depending on whether their part in the rebellion was a major or minor one. They were to be recompensed from forfeited land west of the Shannon by an area to the proportion they were entitles to retain. 44,210 names were recorded on certificates of transplantation by May 1, 1654. A new Ireland emerged after the Cromwellian Plantation. Persons Transplanted In Ireland from Co Limerick: Frances, Madalen, Martin and Mary Fanninge. From Co Tipperary: Nicholas Ffanninge of Clonegall, Edmond Ffanninge of Gortfy and Wm. Ffanninge of Ffarrenroe. Connaught Certificates-Transplanters 1653-1654: Inrolments of the Certificates of the Commissioners appointed for hearing and determining the claims of Transplanted Persons in the Province of Connaught and the County of Clare: Edward Fitz-Francis Fanning, Michael Fanning, Thomas Fitz-Clement Fanning, Thomas Fitz-Patrick Fanning, Nicholas Fanning, Alderman, William Fanning. Book of Survey and Distribution: Nicholas Fanning and John McRory (proprietors in 1641) of lands denominated Lower Englandstown and Upper Englandstown(Co Limerick). These lands were forfeited and conveyed to Brook Bridges. 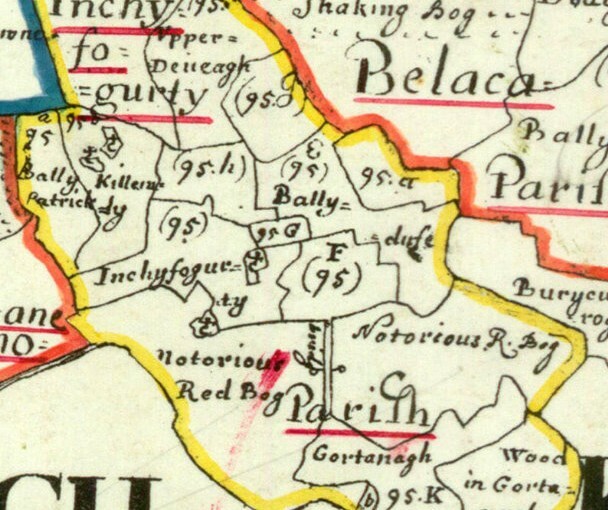 James Ffaning had lands confiscated in the Barony of Knocktopher, Co Kilkenny. Names of persons in the Grants, under the Acts of Settlement: Jeffrey and William Fanning. The Power Family Pedigree has Jeffry Fanning of Fanningstown, Co Tipperary marrying Gyles, daughter of Thomas Power (who died 1637) and Margaret Butler. In the reign of Charles 11 (1860-) Geoffry Fanning of Ballingarry forfeited lands. The Down Survey maps completed between 1656 and 1658, are now online free at http://downsurvey.tcd.ie/. These maps were completed after the Cromwellian conquest of Ireland to facilitate the transfer of Irish Catholic land to English Protestant owners. Land being given to soldiers and those who helped finance the war in Ireland. “A new Ireland emerged after the Cromwellian Plantation. Land ownership and political authority passed from the older inhabitants to the new colonists, from Irish and Old English Catholics to a landed ascendancy of English Protestants who were to control the life of Ireland until the twentieth century” This quote is from an excellent article by Catherine Donovan and is on the Clare County Library site. I have been able to trace my Fanning ancestors to Lissaroon just north of Thurles in Co Tipperary north. They are said to have arrived there in 1741. My earliest found ancestor was William Fanning born c 1731 and died 1801. I don’t know where they came from but it would have been perhaps Co Limerick or Ballingarry in Co Tipperary. They seemed to be fairly well off by the size of the house and interior decorations and also by the fact that the land at Lissaroon was prime agricultural land. After Cromwell’s conquest of Ireland and the resulting redistribution of land ownership the Fannings in Ireland suffered a reversal of fortune. Prior to this time they had been wealthy and fairly powerful land owners. In 1660 Charles II was restored to the English throne. The majority of the Irish did not however get their lands back. Irish who could prove they were innocent of any involvement in the Irish rebellion against English rule could have their lands back but the courts were abolished before the Irish could have their claims heard! A small number, mostly Old English, succeeded in being restores to their former lands. Those whose land was forfeited were to be given land in Connaught hence the saying “To Hell or Connaught”. Some of the Fannings were meant to be transplanted but whether they did leave or not is not confirmed. The whole transplantation process was a bureaucratic nightmare and took so long that by the time of the Restoration of Charles II many people had not moved. This Down Survey shows that throughout Ireland nearly all Fanning land holdings were lost and transferred to English Protestant owners with the notable exception of Jeffrey Fanning who was or became Protestant. 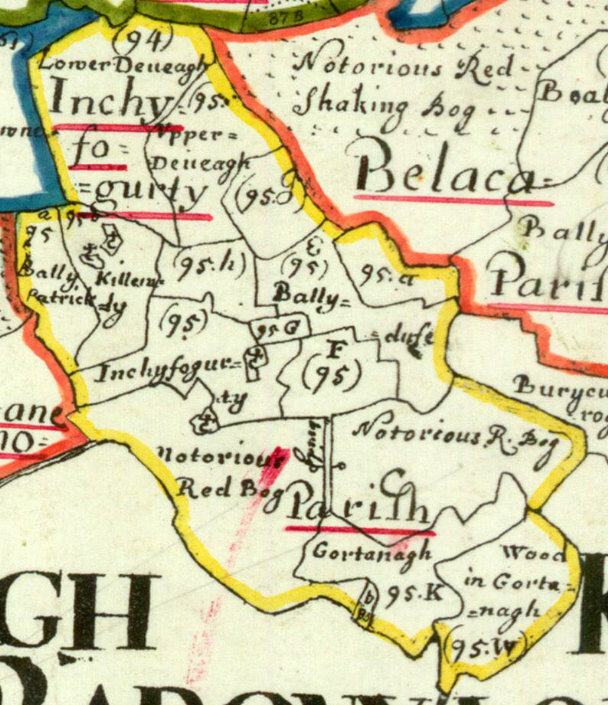 The Book of Survey and Distribution notes that a Geoffrey Fanning of Ballingarry forfeited his lands under King Charles the second. The Down Survey also shows that the landowning Fanning family members lived in Ballingarry in Co Tipperary, Co Limerick and some in Co Clare and a few in Co Galway and Co Kilkenny. They do not show up in other counties at this time. There were no Fannings listed in Lissaroon at the time of the Down Survey. Jeffrey Fanning owned 21 properties. These are listed in the above records from the Down Survey site. 1654 – Commissioners are appointed to allot the land of Oliver Cromwell’s Connacht plantation to transplanted Irish. 1653 – English Interregnum: The Protectorate – Oliver Cromwell becomes Lord Protector of the Commonwealth of England, Scotland and Ireland. If you right click the image and then open in a new tab you can get a larger image and can use zoom function. 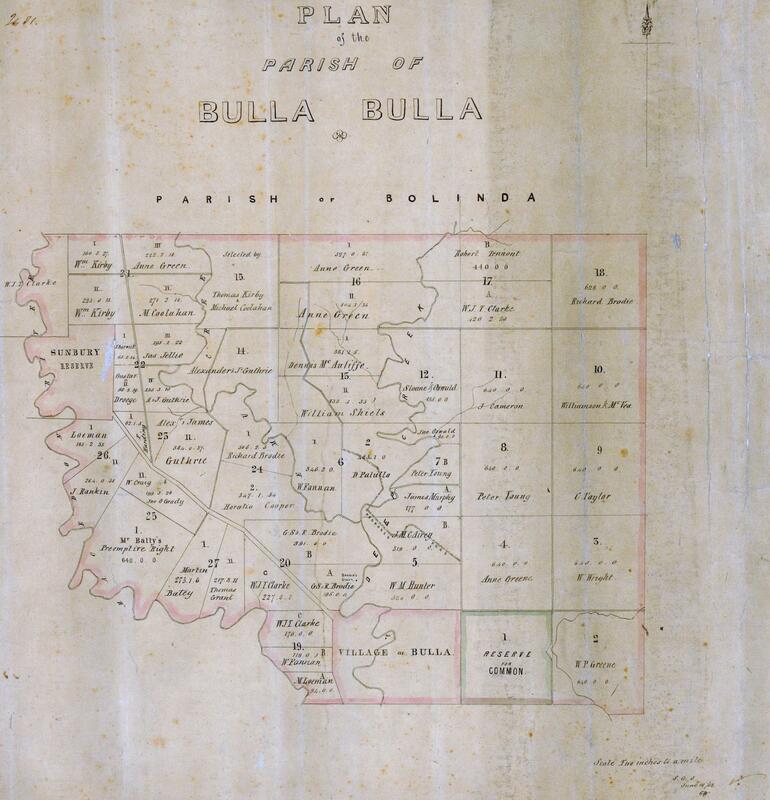 In this map from 1855 W. Fannan has a block of land in Quartz St Bulla. Has to be after 1854. 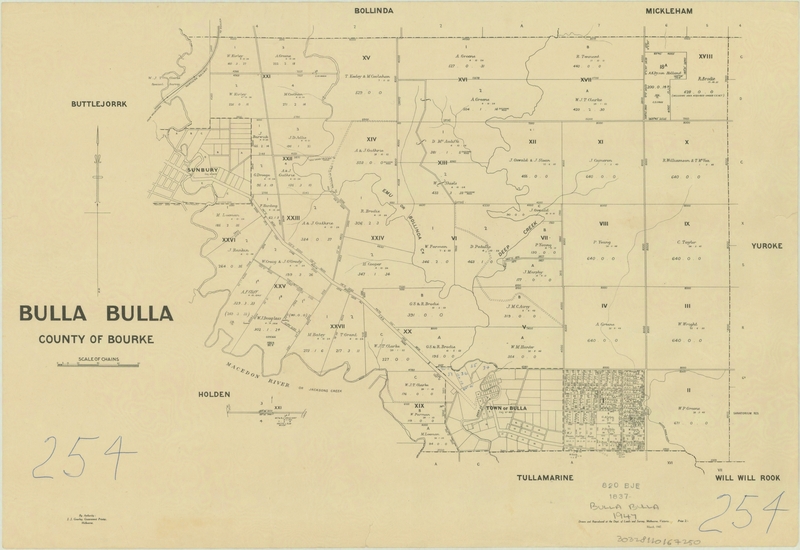 W Farman has 346 acres on Emu or Bolinda Creek purchased on 7 June 1855. W.Farman also has the 119 acres “Sunnyside” next to M. Loeman. In town it looks like lot 47 is owned by E.Fanning. ?? Could be Ellen Fanning wife of John Henry Fanning son of William Patrick Fanning. On Quartz St lot 7 belongs to Fannan in 1863. More variations on the name Fanning!! Thanks to my cousin Teresa for sending these parish maps to me. 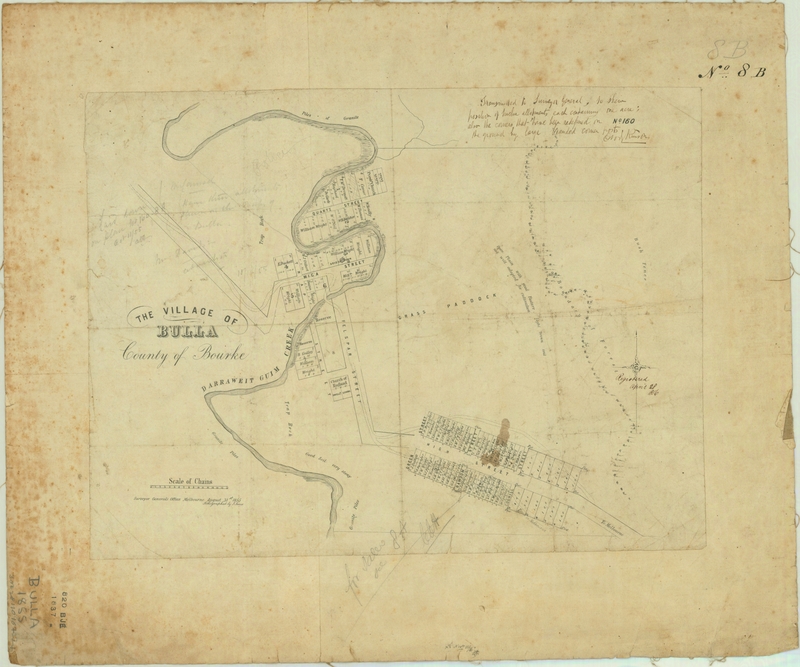 This Parish Plan was kindly sent to me by my first cousin Teresa Fairbairn nee Fanning. 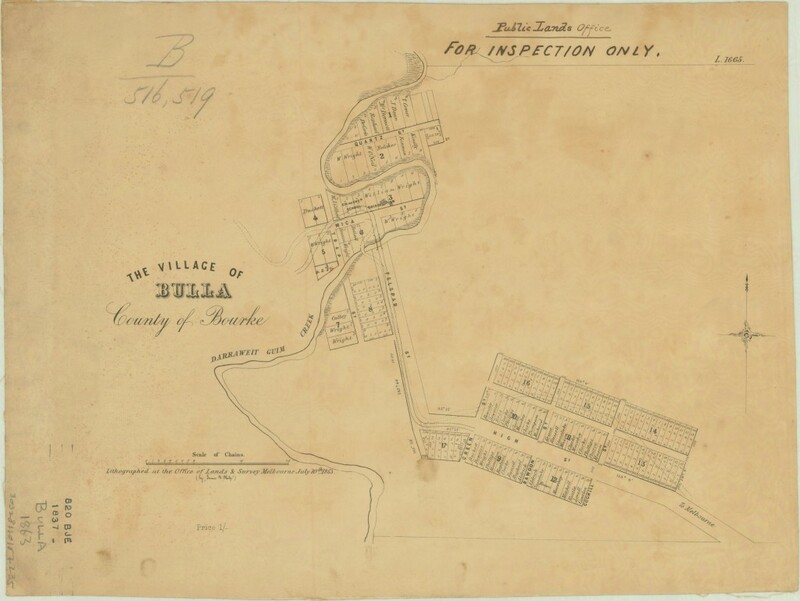 Lot 19b was where Big Bill had “Sunnyside” built and where he and his family lived and where his descendants still live. The other 346 acres was the land that his son John Henry inherited. It was called “Emu Flat” and the Fannings living there were called the “Flat Fannings” and those at “Sunnyside” were the “Hill Fannings”. It is interesting that even in 1856 William Patrick Fanning is listed as W.Fannan. Historic Bulla Bridge, built 1869, crossing Deep Creek at Bulla Victoria. Ardfinnan Castle, Co Tipperary was built by Prince John in 1185. It was garrisoned by Cromwellian troops throughout the 1650’s. Burncourt Castle Co Tipperary was destroyed in 1650 by its owner Sir Richard Everard to prevent its occupation by Cromwellian troops. The Cromwellian Settlement of Tipperary by J.G.Simms can be read here at the Tipperary Library site. It is very interesting and informative. There are many out of print issues online here as well. There are quite a lot of out of print Tipperary Historical Journal articles which can be read online free through the Tipperary Library Local Studies site. 7 August 1781 Lease of Knockane. George Ryan of Inch to John Murphy, Patrick Murphy, Michael Murphy and Nicolas Fannin, Farmers of Knockane, for the term of 31 years at an annual rent of 21 pounds. Rent payable in two moieties on the 1 May and 1 Nov. Turf rights are not included and a penalty of 20 shillings will be levied on every kish of turf removed. To let 1816:- Drom House- 50a. in the house division. Lands lately held by William Russell and Ed. Fanning. 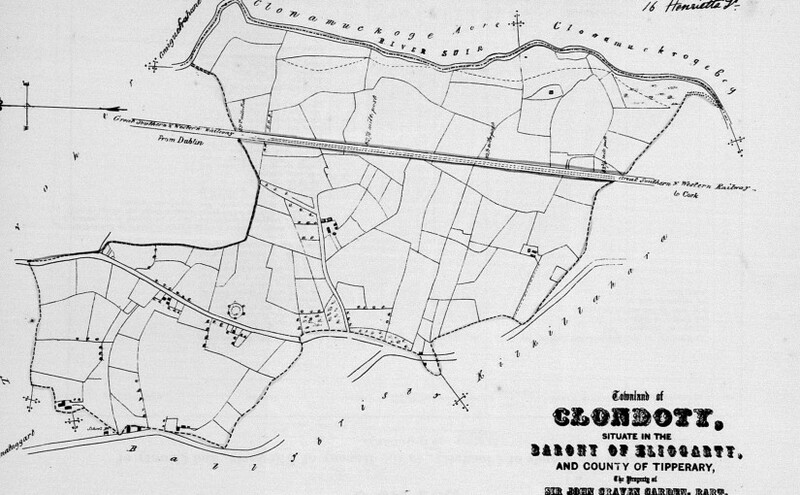 Source: Rootsweb CoTipperary-L-Archives contributed by Mary Heaphy. 19 April 1836 Copy letter to (Chief Secretary) Drummond from George Ryan, Inch, enclosing a letter to the Lord Lieutenant from Rev. Mulcahy a response to a memorial for David Fanning, currently under sentence of transportation. Ryan adds “a more daring and desperate character is not to be found in this neighbourhood”. Source: Ryan Documents. 1. The Estate of Robert Lidwill, a minor, Owner of the lands of Cormackstown, otherwise Ballymacormack situate in the Parish of Holycross, Barony of Eliogarty and County Tipperary. Two of the tenants names are: William Fanning & Widow Fanning. Their leases were year to year leases. Source: Tipperary Encumbered Estate Records. 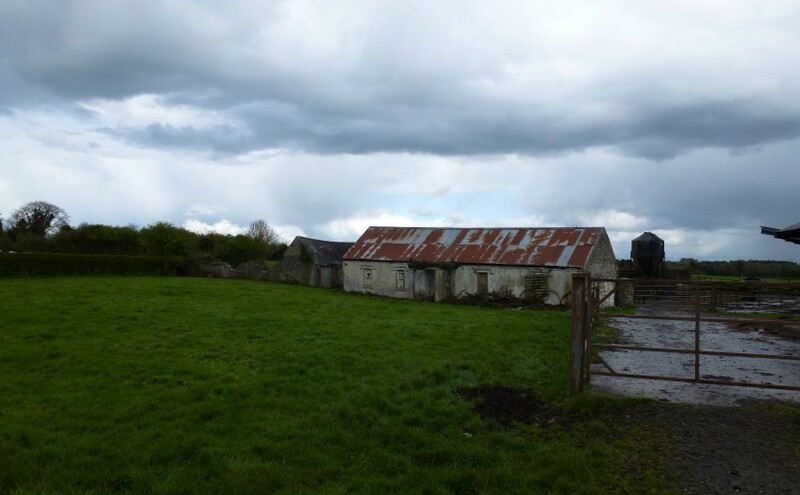 2.Estate of Thomas P Firman of Mount Falkner Tipperary – Sale Notice contributed by Clare Tuohy. 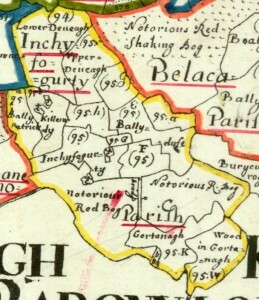 Lands of Grange in the Barony of Eliogarty held forever under a fee-farm grant. Sold by auction 18th May 1852. Grange: Tenants name is Patrick Tuohy and the area of land is 88 acres 1 rod and 5 perches . Under tenure is written “Lease date 14th May 1839, made between Thomas P. Firman of Mount Falkner, in the County of Tipperary and Patrick Tuohy of Lower Grange, Tipperary, farmer, of the other part; for 3 lives or 31 years , lives all in being, viz. John Tuohy aged 20 years, William McGrath now in America aged 30 years and Thomas Fanning now in America, aged 30 years.” Source: Tipperary Encumbered Estate Records. 3. The encumbered estate of John Craven Carden, Bart.,Owner Sale 13 Dec. 1853 Situate in the Barony of Eliogarty, Clondotty. Tenant’s names: William Fanning Tenancy from year to year John Gleeson & William Fanning Tenancy from year to year. Source: Tipperary Encumbered Estate Records. Nenagh Division: William Fannin of Lilsaroon; Patrick Fanning of Thurles; Thomas Fanning of Coldfields.